The secret of success lies in the large root space and long life reliability of this steel vertical garden kit system. The large volume of potting media in this successful Greenwall system results in optimum root development, balanced moisture, an even temperature and resulting plant longevity. GARSY® vertical gardens and Greenwalls are arguably the best, the simplest and most easily assembled and maintained vertical garden systems on the market today. This ‘low tech’, galvanised steel vertical garden kit system is ideal for both commercial and residential properties, schools, restaurants, hospitals, shopping precincts and for transforming barren rooftops into lush, sophisticated, living spaces. Before and After Greenwall pdf. Reduce your energy bills while enhancing your property - Greenwall is a proven vertical garden system that can be fully customised for your project. 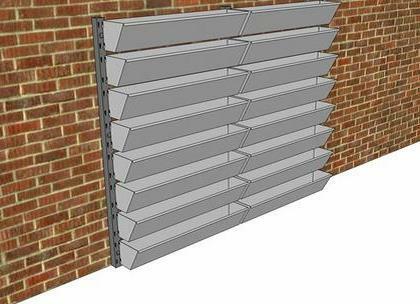 Greenwall is also available freestanding in either flat backed (single sided) or double sided systems. Matt black, powder coated uprights 50mm sq. So which Greenwall Vertical Garden system is for you? Need something smaller for your balcony? Check out the NEW Harvey SuperBag product. With the popularity and versatility of vertical gardening systems, there are now several designs of Greenwall systems on the market for both aesthetic and productive Greenwalls. It is important to have an understanding of the strengths of each Greenwall system and the maintenance each type requires so you can enjoy the benefits, not just in the weeks following the installation but in the years to come. This little book by Keri Algar is all you need.